With the devastation of Hurricanes Irma and Maria, the Caribbean Desalination Association (CaribDA) Humanitarian Committee is reaching out to all CaribDA members and contacts gathering details from those in need and evaluating how our Committee may be of assistance. With vast areas of the Caribbean affected, we are depending on you to give us details and first-hand accounts so we can effectively leverage the strength and experience of our membership to provide hurricane relief in the Greater Caribbean. We would like to assess not only the needs of our members and contacts, but also gauge what we will be able to provide. With your responses and requests, we will be designing and implementing a program to bring relief to those impacted. We are asking for just a few minutes of your time to assist us in making a difference for our members and communities devastated by Hurricane Irma. The data you provide through your responses will be compiled to assist the CaribDA Humanitarian Committee develop a relief program for the communities we serve. We appreciate your time and any information you are able to provide. 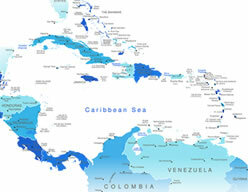 We will keep you updated on CaribDA Humanitarian Committee relief programs and partnerships.